Need help packing a healthy school lunch for your child? Try one of these six healthy lunch box ideas to make going back-to-school easy. It’s back to school time and as a mom of three, I’m ready – sort of! The new school means getting back to a structured schedule – and I love structure. It also means homework, busy evenings filled with running kids to their activities and making sure the refrigerator is stocked with foods to pack nourishing lunches. 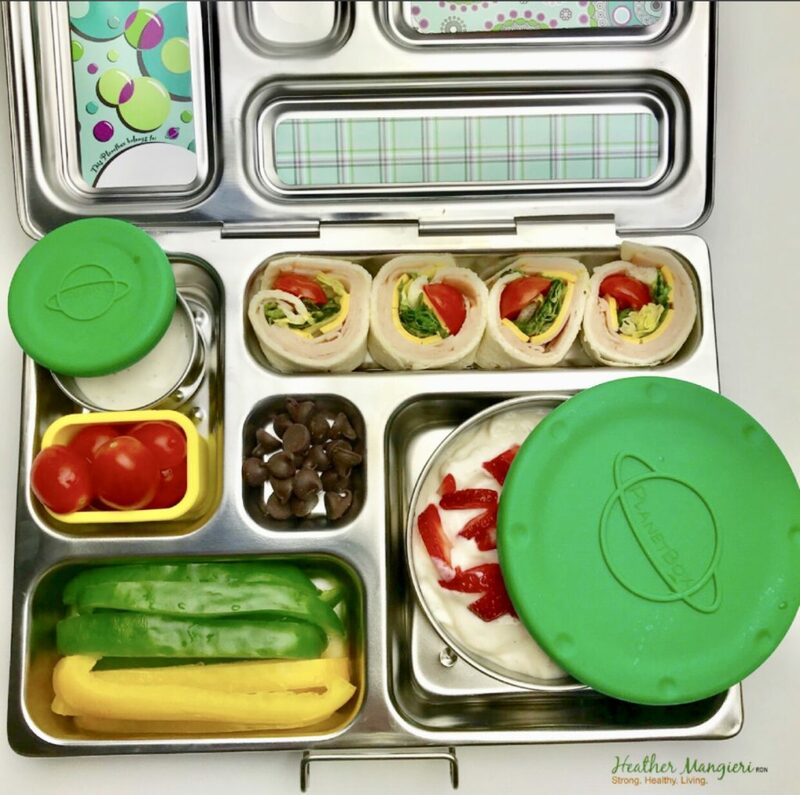 I’m not ready to talk about school work or being a mom taxi yet, but the healthy lunch box part – I’ve got that covered. For those of you that know me personally, you know why. My family lives on the go, so having meals prepared in advance is a way of life. Plus, if you haven’t noticed from my previous posts, I’m kind of passionate about adolescent nutrition. The growth and development during this stage of life is extraordinary. Getting the right nutrition during the early years of life sets the skeletal and muscular system up to support the body for years to come. Nutrition also plays a pivotal role in the ability to learn – impacting attention span, concentration and memory. Getting adequate amounts of all essential vitamins and minerals is important, but from my experience, some key nutrients are more likely to fall short in the diet of kids and teens than others. That’s why I like to call them out when sharing school breakfast and lunch ideas. Nutrients like magnesium, Vitamin D and calcium, that support the significant bone growth that occurs in the adolescent years. Potassium, protein and B- vitamins, that support the muscular system. And, iron – a nutrient necessary for growth, development, normal cell function and the production of many hormones. Iron also helps transport oxygen from the lungs to body tissues. All of these are nutrients can be obtained through the diet if the right foods are provided. I care about the nutrient status of kids, and love to share how nutrients will help them develop. But kids don’t eat nutrients – they eat food. 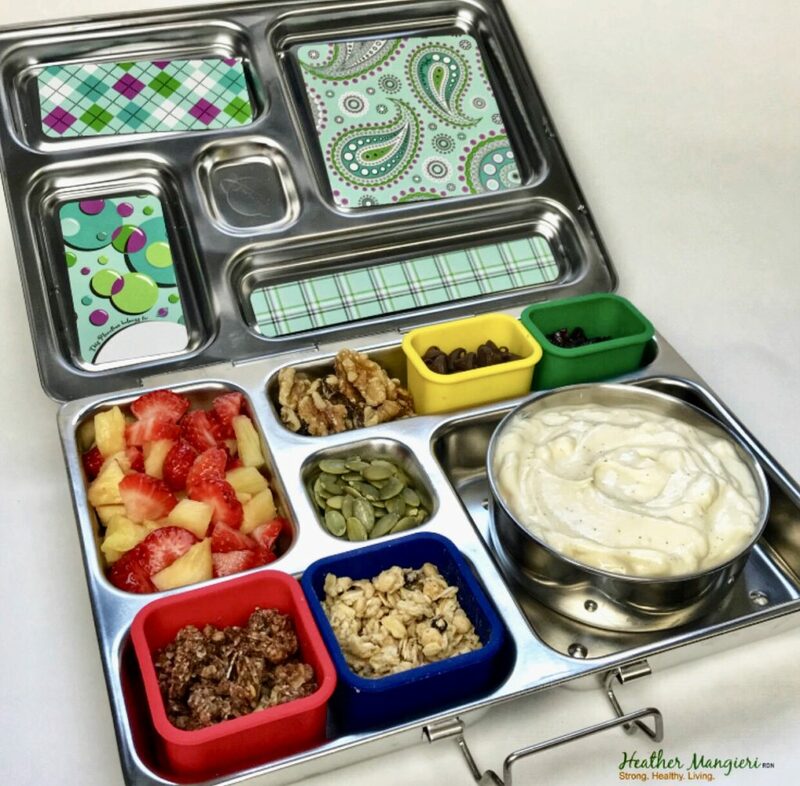 Packing a variety of nourishing foods into a child’s lunch box is the best way to supply them with the wide variety of nutrients they need to grow, develop and learn. It also teaches them about nutrition. Kids naturally trust their parents, and they assume that what you pack is good for them. 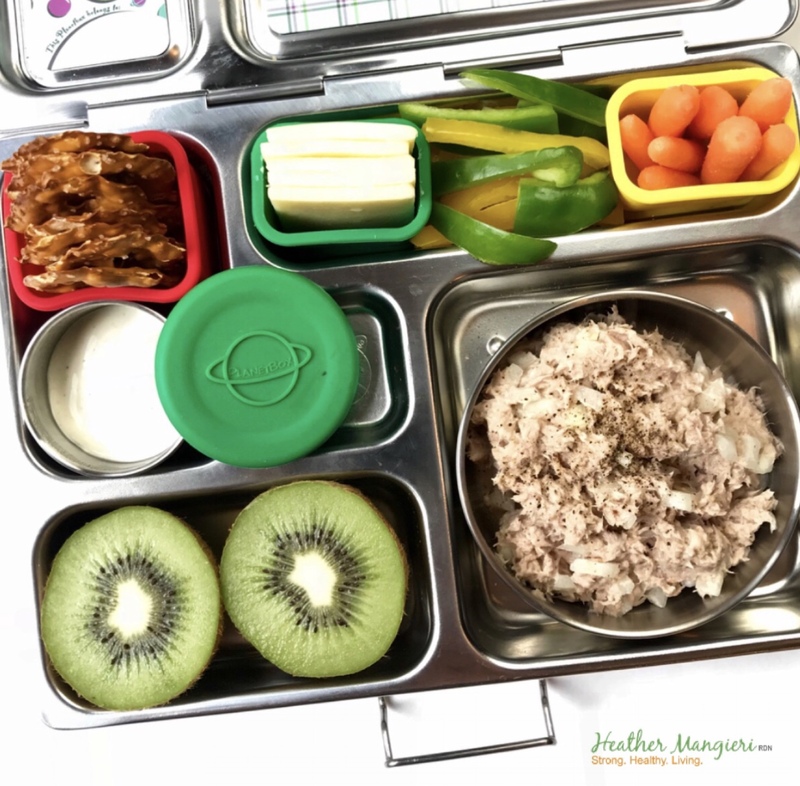 To make it easy for you, I’m sharing five healthy lunch box ideas. Each one includes foods rich in the nutrients kids and teens need. This lunch box is filled with all the fixings to make a healthy yogurt bowl. Vanilla Greek yogurt is packed full of calcium, potassium and protein. Then stir in a few tbsp of both chocolate and blueberry flavored granola, mixed pineapple and strawberries, pumpkin seeds, walnuts, dried cranberries and mini chocolate chips to add tons of texture, flavor and other nutrients. – Pack bottled water or portable milk to drink, or include money to purchase cold milk. If you have a child that refuses to eat sandwiches – no problem. Roll a few pieces of turkey and leave the bread behind. Together, the turkey and cheese provide adequate protein. Include carrot sticks, a salad topped with veggies, olives & dried fruit, Ranch dressing, some cracker and fresh strawberries to compete the food groups. Pack bottled water or portable milk to drink, or include money to purchase cold milk. A peanut butter and jelly sandwich is a great lunch idea, but it doesn’t offer much in terms of protein. To increase the protein content of this lunch box, I included an egg and some cheese slices. Add a side of strawberries, some pretzel sticks and a few chocolate candies, and this lunch is complete. Pack bottled water or portable milk to drink, or include money to purchase cold milk. 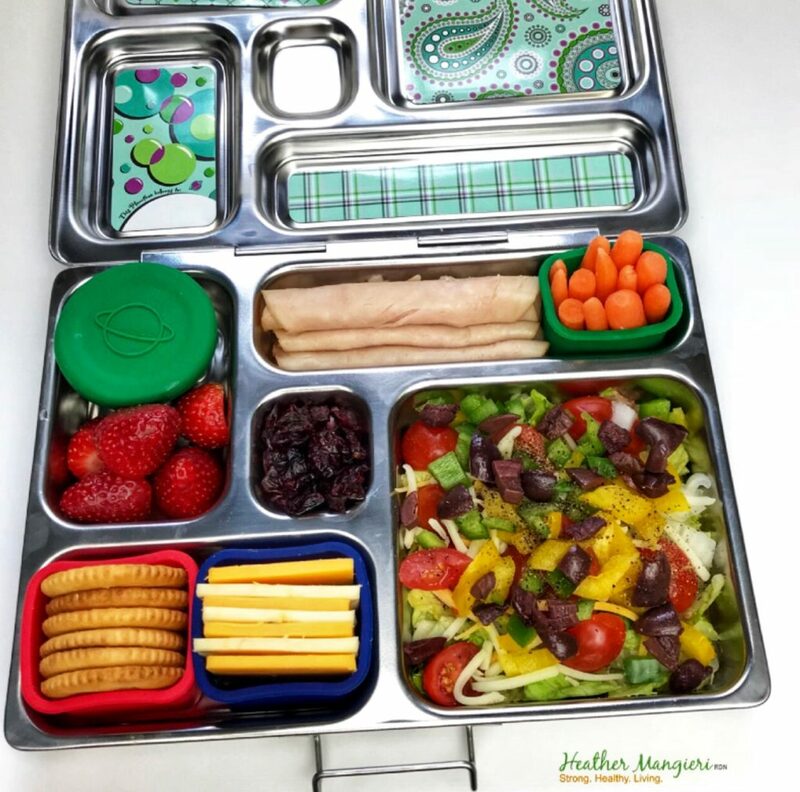 This lunch box happens to be filled with foods that I eat often – turkey and cheese roll-ups stuffed with lettuce & tomatoes, strawberry Greek yogurt topped with strawberries, some peppers with Ranch dressing on the side, a few baby tomatoes and my favorite all time chocolate treat- chocolate chips! Pack bottled water or portable milk to drink, or include money to purchase cold milk. And finally, salad bar on the go. Make a salad filled with a variety of vegetables, dried fruits and top with shredded cheese and a hard-boiled egg to add protein. This healthy lunch box has a handful of spicy chips (my daughters favorite), as well as a side of watermelon. And of course, homemade Ranch dressing. Again, pack bottled water or portable milk to drink, or be sure to include money to purchase cold milk. Tuna and chicken salad are easy portable protin options that go great on crackers, or in this case pretzel crisps- and paired with sharp cheddar cheese. I packed this with peppers, carrots and my homemade Greek Ranch dressing and a kiwi. This little lunch box is a win for nutrition, color and flavor. I hope this post helps you as you prepare for the school season. 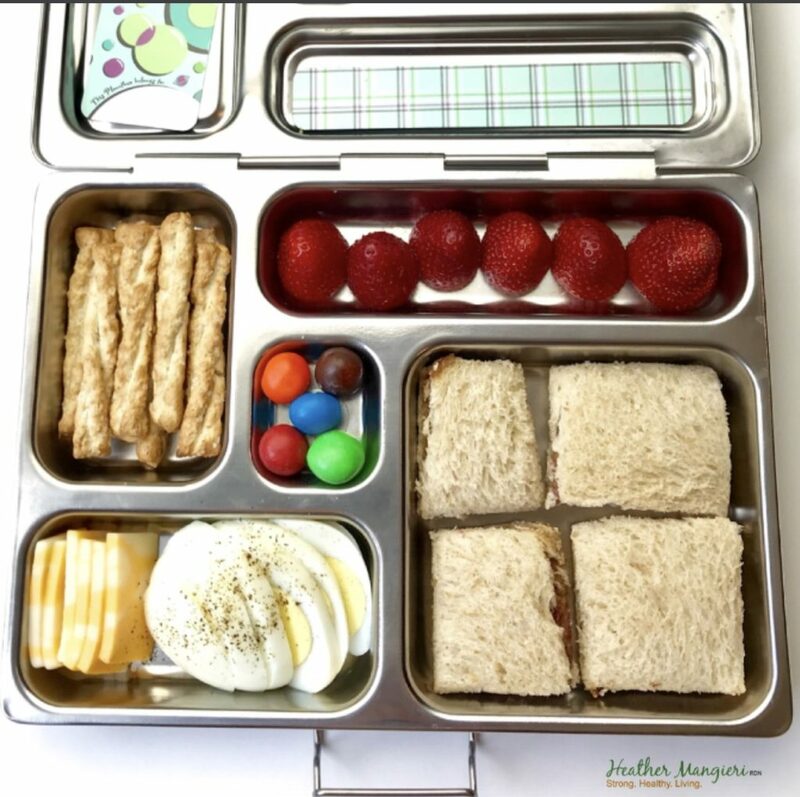 You can find more healthy lunch box ideas here. 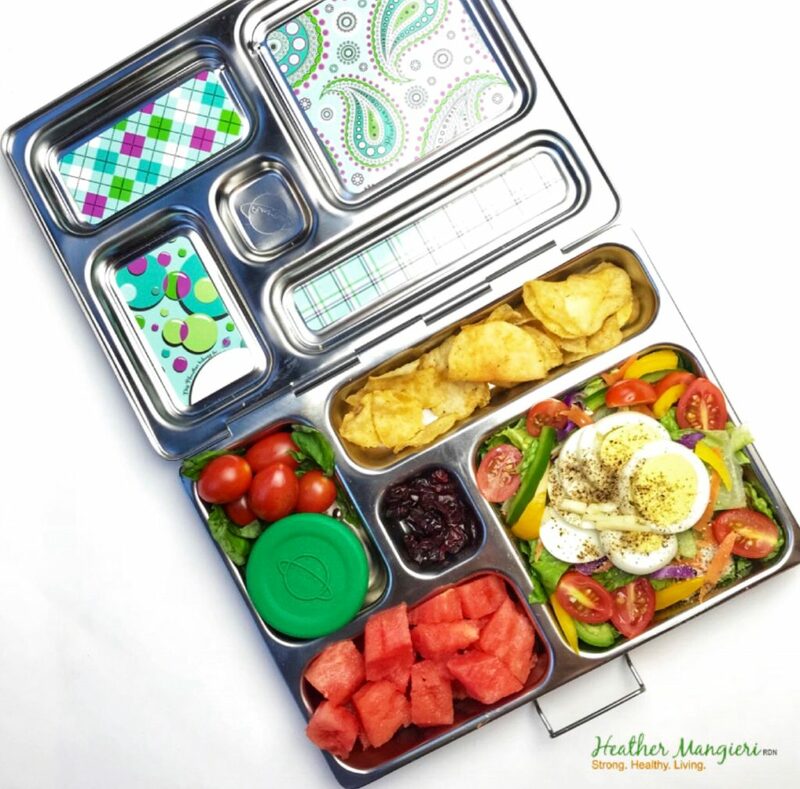 Do you have a favorite lunch box idea? Share it in the comments below for others to read.